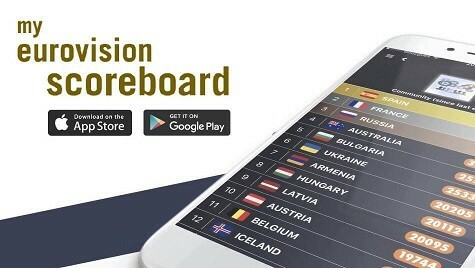 The 2018 Junior Eurovision Song Contest is less than two weeks away and the twenty participating countries are busy putting the final touches on their entries. Among the singers is Ireland’s Taylor Hynes who will be competing with the song “IOU” in Minsk. 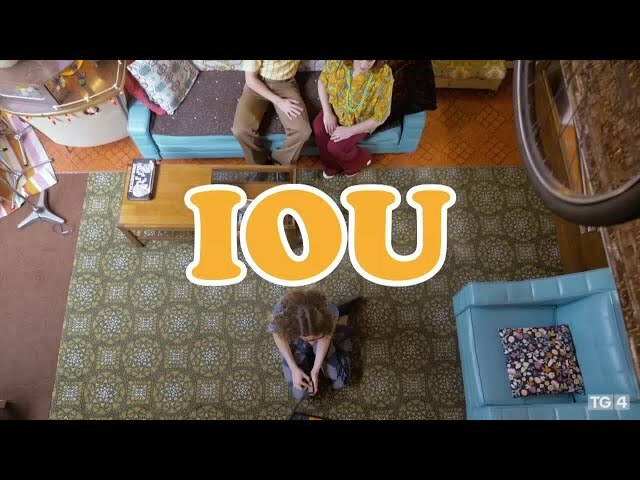 The official music video for “IOU” was released on November 13th, and features two of Ireland’s most successful Eurovision entrants, Niamh Kavanagh and Ryan O’Shaughnessy, alongside Taylor. Niamh, who earned Ireland its fifth Eurovision win in 1993, is joined in the video by Eurovision 2018’s Ryan, who brought Ireland back to the grand final for the first time in five years. The retro-style video is set in a 1970’s home where the two stars play Taylor’s goofy yet loving parents. The song’s title, “IOU”, literally means ‘I owe you’ and the song, which is sung entirely in Irish, is an expression of gratitude to all those who have helped Taylor through life’s challenges, both big and small. In the video, we see Taylor’s mother (Niamh) pouring Taylor some milk and jamming out to some David Essex while her husband (Ryan) vacuums the house and teaches Taylor some vintage dance moves. Taylor of course has some trendy 2018 dance moves to show Ryan as well, although they don’t seem to impress him very much. These same dances seem to be a Junior Eurovision trend this year and can be seen in other contestants’ music videos. While Taylor is the star of the video, it’s hard to deny that Niamh and Ryan’s quirky mannerisms command much of the viewer’s attention in a way that makes the video even more enjoyable without overshadowing Taylor. It’s heartening to see Junior Eurovision contestants collaborating with their adult counterparts. Perhaps this move will become a trend for further Junior Eurovision to Eurovision crossovers down the road. What do you think? Did you enjoy seeing Ryan O’Shaughnessy and Niamh Kavanagh take on the role of a fictional couple? Do you think that more Junior Eurovision contestants should collaborate with their adult counterparts? Let us know in the comments below! I just luuuuuuuuuuuuuuuv Niamh and Ryan on the official video! The 3 make it entertaining to watch from beginning to end. The song is fun and different, just what we need. There are so many strong female voices with important messages, this is the break we need. Good luck Ireland! I think people were being hard on the kid and his song so they have Ryan and Niamh to support Taylor. Upon knowing the leaked fact that he won the Irish NF, lots of people were saying his song was the most terrible one and that they are putting his song to their least favorite. So this is a good way to at least have some support for Taylor. Good luck to him in the grand final! It’s better than nothing. And well, it’s first time Ireland sends a bop (and boy xd) in JESC. A bop in Irish! We could have some of that in the adult contest. Sadly, probably won’t happen with RTÉ organising Ireland’s participation in ESC. I really love the video (and the song is growing on me). I wish Ireland would send a song in Irish to the adult Eurovision. Wiwibloggs, will you be doing a Wiwi Jury of the JESC songs this year? We’ll be doing a mini jury for JESC this year. A song in the Irish language would be great! The last time time was 1972. I think at this stage they can afford to take a chance. Especially if the little brat, I mean winner, appears on the real Eurovision in Tel Aviv next year, as has become tradition. I do appreciate the delightful awkwardness of how the last two showed up in years where their country didn’t make the final (Georgia’s winner popping up in 2017 and Russia’s in 2018). They’re largely very talented kids, I just find most of the songs decent at best and unlistenable at worst. Plus the whole thing reminds me too much of the child pageants we have down South here in the States. Just think of JESC as one of those interschool tourneys where schools from around the county would send their best to compete, or one tourney with a wider media coverage like the US National Spelling Bee on ESPN. It’s all for fun in the spirit of things. The only possible good that can come out of Kazakhstan winning though is its possible invitation for a future ESC. So… it’s awesome to see Niamh Kavanagh and Ryan participating, and I wouldn’t be here otherwise because I don’t follow junior Eurovision. But this song is a bit bland in terms of the melody, and as a fluent speaker of Irish I can tell you, that the lyrics are a bit meh too. That being said though, I obviously wish my country the best of luck and for Taylor also! The music video is awesome! Ireland has the best music video and the worst song this year. Niamh gave Ireland their fifth win, not their fourth. Thanks for the great article, though, I have little interest in Junior Eurovision but it’s nice to see Niamh and Ryan play a part. They both seem to have a great sense of humor.